Peak Power is about the same but the Benzworks LTH made more power throughout. Serge undoubtedly has one of the best deals around for header price plus install. I was going to go with them but scheduling differences prevented me from getting those LTH'S. Call him up, you'll be surprised how good the deal is. That graph is a little hard to follow and shows MBH making marginally more power... I don't get it..? How much does HD charge for a dyno tune? I am selling my car in 7-8 months but might want to get a tune since I feel like the EC v6 LTH tune I have leaves a lot on the table. Which air filters do you see as performing the best for the M156? I think this is kind of a disingenuous post. You can’t just assume that the headers account for the hp difference on totally separate cars. I don’t think you guys are going to last long around here with all these questionable dyno posts. Just sayin. Last edited by BLKROKT; 06-14-2018 at 10:47 AM. But as Blkrkt said, hard to compare two difference cars. Maybe one engine is healthier than the other. The MBH fanboys dont want to accept there may be other headers out there that perform just as well and better in some cases. Its about as close a comparison as you can get, same mods same timeframe. MBH is considered THE best around just like Iphone is considered the best phone. But we all know thats just not true. The post was to show dyno differences between the two headers. We have no affiliation with MBH or Benzworks. This is merely a post to show the results from a dyno day. As we all know, many factors go into play when getting dyno numbers. These 2 cars are as close as it gets to giving data on LTH comparisons without using the same car and installing/ reinstalling and running it on the dyno. one has oem header with all 4 oem catalyzer? the other one has longtube headers with only the 2 rear catalyzer? or has both of them diffrent long tube headers? In our defense, The one constant here is our headers never change. You dont adjust headers like you tune tuning files. You also have 2 cars that have two different mods, that need two different mapping profiles. Cars vary in power from one car to the next, we all know that. Do we or do we not know if the mid-range of the car with our headers was making a bit less power than the other right from the factory? Or Millage, wheels or tires heavier than the other car? There are hundreds of factors. Like I said our headers dont change, if you would like to see what might be a more accurate compassion of our headers look at this chart. ONLY thing different from this C63 in the dyno chart is that it is NOT a P31 and the tuner is different. Other wise we have a C63 with afe filters, ROW airbox, and MBH header system on a Dyno Jet. This run was done by an independent shop who I did not know and was posted here by an MBworld member. Meaning the shop that did the dyno runs had no horse in the race. I've marked off key RPM spots and the power being made at that moment. Over all this car made 485whp and 444wtq. 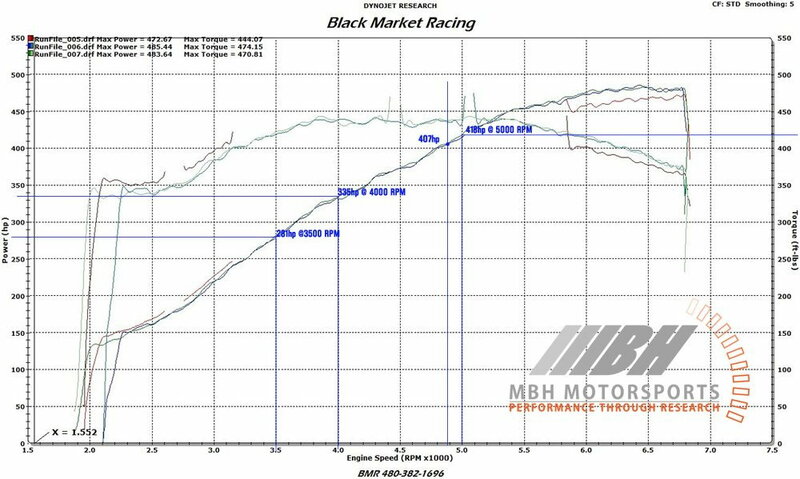 As you can see in this dyno chart the mid-range power and torque is surpassing the numbers of the Benz Works headers equipped car. Keep in mind the only difference from the original chart posted in this thread and this one below is the tune. Last edited by MBH motorsports; 06-14-2018 at 02:32 PM. I have fi headers with 2in primaries(same as mbh) and also have that low torque from 2k to 3.5k I had Jeremy from oetuning through everything he could at it to bring back my lost low end. he said 2in primaries are to much for an na 6.2 but awesome if you supercharge the car. edit I did get alot more low end with tuning.did you guys try to get as much out of the mbh car? Last edited by skratch77; 06-14-2018 at 02:39 PM. Look inside your FI header and you will understand why you didn't make as much. You get what you pay for. We do things that the FI didnt. I mean this with no disrespect either. I know how writen words can come off negative, but im not being negative. what are the odds I have the same exact torque curve as your posted dyno sheet,my dyno and the dyno in the OP post lol. MBH dude, your headers are indeed top notch. No one with an ounce of reason will ever debate the MBH often make more peak power or are probably more ideal for FI applications. The issue is with the fanboys/soyboys. People who will not accept a statement that is backed up with data, thats all. 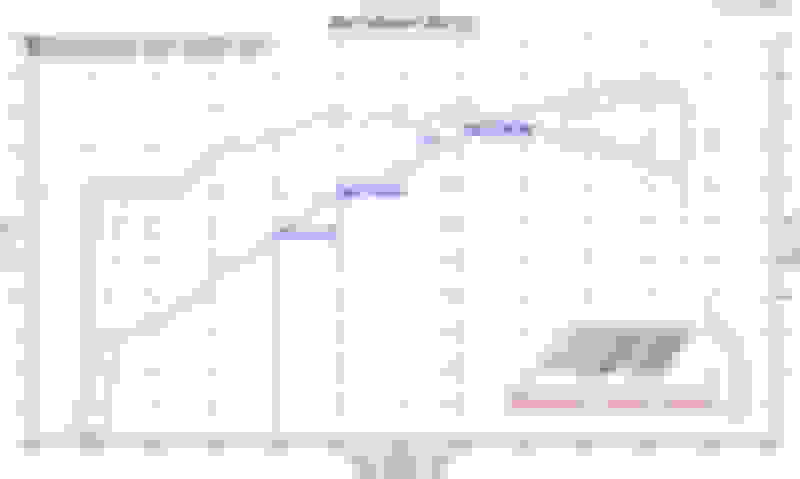 And since we're trying to keep it 100, the loss of low end torque is a well documented thing, there have been dozens of dyno charts posted here. Let's be clear there is no low end torque loss over stock. There might be an off idle blip where the exhaust is filling the headers but we are talking about off idle +200 rpms. There are many of smoked rear tires that agree. Without a baseline comparison of the cars before headers, and then after headers, same day same conditions, you just can’t possibly say that the headers represent the whp difference. Your result is completely invalid. I think we're all phrasing it incorrectly. No real low end torque loss vs stock. What we should be saying is other 4 into 1 with smaller primaries make more torque down low in NA applications vs the bigger ones on the tri-y design. Does that make them better? Well that depends what you're looking for. Stopped reading when I saw the tuner use the term, "FBO". What is this a Honda forum? To me FBO also includes pulley, throttle body, E85, cams, 1 pc drive shaft, & LSD with a tune, intake, headers to straight exhaust. I don't bolt tunes on my car though, not sure what you run. fair enough. I did forget most of those. And tune is included because you can’t run LTHs without a tune. Actually, You can run long tubes without a tune. You will get a CEL though. On my SL55 and C63 I ran our long tubes with no tune for a year. Part of it was test and the other was just being lazy.